This site collects certain information automatically, like IP addresses, browser types, referring websites and access times, when consumers visit our site. This “web log” information is not personally identifiable, but provides important information on the number of visitors, and what sections or pages they visit most often. The software we use to collect this type of information is provided by Google and Roxr. Google and Roxr value the privacy of its users. Google and Roxr will not provide any information about its users and/or their traffic data to any third party company for any purpose, unless required to do so by law. Google and Roxr make data available to the public about trends in internet usage, such as web browser and operating system market share. These reports are generated from the data from every web site being monitored by the Service. They are generic in nature and do not contain any personally identifiable information. Ads that may have directed you to this website were delivered by DoubleClick, our Web advertising partner or another network. In the course of serving advertisements to this website, DoubleClick or other networks may place or recognize a unique cookie on your browser. For more information about DoubleClick, cookies, and how to opt out, please go to http://www.google.com/intl/en/privacy/privacy-policy.html. Cookies may have also been used to facilitate retargeting at a campaign level. Retargeting occurs within the confines of a user-to-advertiser relationship, and is not available for general targeting beyond the existing ad campaign. If you would like more information about this practice and to know your choices about not having this information used by these companies, you can visit http://www.networkadvertising.org/consumer-education. 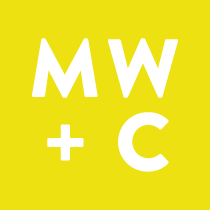 You may choose to supply MWC with additional information on this site. Users should be aware that the voluntary submission of this information constitutes permission for MWC sponsors and partners to use this information. MWC will not share any information about specific individuals with any third party except as provided below. MWC reserves the right to make email addresses and contact information voluntarily supplied to this site available to its associates. MWC also reserves the right to use this information for email promotions. Users should be aware that the voluntary submission of email addresses and other information constitutes consent to be placed on these mailing lists. All promotions are pre-approved by MWC.